Well, that stinks. I was looking forward to this one. I'm confused why they did not attach an official statement regarding their decision. That's a very good and very valid point. At this point? I'm not too sure about why anyone does anything anymore. But, in the end? I'm glad it was about naming issues. And welcome to the new JDR server! 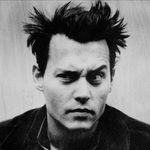 Proud to be a Depphead! Thank you Karen! I had an account long ago that disappeared. I tried my old username...said it didn't exist so I just created a new one. It's just I feel the press are having a field day with this one and they should have issued a statement. I agree, some sort of statement could actually be helpful! About your user name. This is a completely new server and forum provider. We had to start over from scratch when the old Invision/Zetaboards company was sold to TapaTalk. The old forum people didn't offer the chance to buy the database, so what old info that's here? My author Q&As and interviews and a bit more, are here because I did a manual copy and paste. 14 years of messages and info are gone. But we're still around! Thanks for joining in! Happy to have an old friend find us! Just found this. This may be the most likely reason we won't see City of Lies. Same goes for Richard Says Goodbye. Staff at the mini-Hollywood studio were told Tuesday of the drastic move. Global Road's financially strapped mini-film studio is now in the control of lenders. Staff at the company were told of the dire development on Tuesday, just as the film division prepares to release the family adventure A.X.L. on Friday. They were not told the name of the banks, however. Last week, The Hollywood Reporter first reported that Global Road Tang Media Partners, founded by Donald Tang, has been unable to raise the funds needed to keep Global Road's film distribution and production operation flush beyond the end of the year. Global Road, which is less than a year old, is run by veteran Hollywood studio chief Rob Friedman. Lenders have several options when assuming control of an asset. They can decide to either sell, extend more credit to Global Road or opt to declare Chapter 11 bankruptcy. So far, there have been no layoffs. Following Tuesday's all-hands meeting, sources told THR that Global Road's television and international sales divisions are in better standing since they have generated revenue. To date, the mini-studio has yet to score a box-office win. Tang began his foray into Hollywood in earnest in mid-2016 upon buying IM Global and simultaneously launching a TV production fund with the company's recently hatched IM Global Television unit. A year ago this month, Tang closed a deal to buy North American distributor Open Road Films and hired veteran Hollywood studio chief Friedman to run the combined companies. In October, the indie studio was rebranded Global Road Entertainment. Screen Daily first reported that lenders have taken control. Thanks for posting that! Seems like there's so much going on around that film, with that studio. Wonder if we'll ever know the truth? Wonder if it's lots of things going wrong? Seems like the film is technically an "asset" of the company. Wonder if it would/could be sold for release by another company? I think so Anne! OR it could actually get a theatrical release with a company with enough money to promote it! A really interesting article! It contains information about what crew members witnessed during the altercation between Johnny and the location manager and talks about why the director thinks the movie was shelved. I agree Donna, who do we believe? So many things going on, fingers being pointed, stories being told. It's almost as if the film itself is being "gaslighted" - that it's being sabotaged from within? I think it's a combination of things. The money problem is definitely an issue, and they're using Johnny as a scapegoat. Global Road Entertainment is in the hands of two banks that are seeking to sell off its film assets, sources tell Variety. Bank of America is taking the lead and East West Bank is a participant in the credit facility, as the studio appears to have run out of runway on its ambitions to become a film giant with worldwide reach. The studio has been making overtures to competitors in recent days and is scheduling screenings for films in various stages of production. It has signaled that it is open to entertaining offers for “City of Lies,” a crime thriller with Johnny Depp that it recently yanked from the release calendar. The banks are also shopping “The Silence,” a horror movie with Kiernan Shipka, and “Playmobil: The Movie,” which blends live-action and animation. Global Road is also backing out of “The Secret Garden,” a co-production with StudioCanal that is in development. The company may be forced into bankruptcy if it can’t find a way to alleviate its financial issues. Earlier this week, Global Road employees were informed that lenders had taken control of the film studio after it was unable to raise roughly $200 million in production financing. Global Road is owned by Tang Media Partners. It is the combination of Open Road Films, the Oscar-winning studio behind “Spotlight” that Tang Media Partners purchased in 2017 for $28.8 million, and IM Global, a sales and production company that it bought in 2016 for a rumored $200 million. At the time, Donald Tang, the company’s charismatic chairman, said he hoped to release approximately 15 films a year, while intensely focusing on bridging the cultural and business divide between China and the U.S. Global Road’s chances of digging out of a financial hole have been complicated by difficult economic headwinds. President Donald Trump’s trade war with China has cooled that country’s investment in entertainment companies, limiting a source of capital. Even before tariff battles began, China had signaled that it felt burned by previous media investments and was rethinking its strategy. But that’s not the only reason that Global Road is in crisis. The company lost millions on the Jodie Foster thriller “Hotel Artemis” and the Reese Witherspoon rom-com “Home Again.” Its most recent film, the futuristic “A.X.L.,” is also expected to bomb when it debuts this weekend. It is projected to earn between $3 million to $5 million, a disastrous result for a wide release. Thanks for the article--glimmer of hope Johnny's film still might get picked up!